Q. What’s better than free music? A. Getting paid to listen to awesome new tracks! Just when you thought the music business had already been turned on its head by the easy availability of free and low cost digital tracks, the wheel is turning once again in favor of the fans. Surprisingly, there are now quite a few different places where you can earn money listening to music, sharing it with friends, or even by investing in and promoting your favorite artists, as a super-fan or freelance talent spotter. When you think about it, this makes a lot of sense. Fans have a huge value for the artists they follow, and often do much more to promote an artist and help them grow than any record label or other industry executive. They are also the people who know best which new artists have the potential to make it big and which ones don’t. Rewarding those fans for their activity, and using those rewards to engage fans even more in discovering and promoting new talent, is therefore a natural evolution for the music industry. 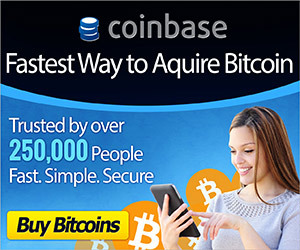 Earn Digital Currency, or ‘CryptoCurrency’. AudioCoins are a new cryptocurrency specifically designed for use in the music industry. Like many other digital currencies they can be ‘mined’ by users running the Proof of Work mining software which secures their peer-to-peer network (Scrypt algorithm). They also earn Proof of Stake rewards at 18% per year interest for anybody who keeps coins in a wallet on their computer and opens it up every now and again. And they can be exchanged for Bitcoin or government fiat money on third party exchange websites. The flagship AudioCoin service is a website called Aurovine, where you can listen to free music from a wide variety of artists and earn free coins whenever you leave a review and share a track with friends through social media. You also get some bonus coins when you first join the site, and earn additional coins as a reward if you purchase a paid album download. In the future you will also be able to spend AudioCoin on the Aurovine website on various products, such as headphones for example. When you first sign up on Jango.com they give you 25 Neucoin’s for tipping. Neucoin is an alternative digital currency especially designed for tipping, use in games and things like that. Every so often they put a song by an emerging artists into the stream, and you can give these guys a tip of 5 Neu if you like them. Once you’ve tipped out your initial balance they give you another 25 for tipping, plus 25 for yourself. You can also get free Neucoins by playing a facebook game, taking a quiz and various other ways. FaucetFM works with a wide range of radio stations featuring tunes from every genre you can think of. When you play one of these stations through their website you earn up to 700 Satoshis every 10 minutes (depending on what country you live in). You have to complete a captcha every 10 minutes to prove that you really are a human being who is actually listening to the station, and the combination of this and the ads can be a little irritating, but there is no doubt that the earnings are generous and can add up to a decent amount of Bitcoin if you spend a lot of time sat at your computer listening to music. If you are new to Bitcoin you will need to get yourself a wallet. Payments are sent through Faucetbox to save on transaction fees, so you will also need to go to their site to withdraw your coins. Two of the biggest ‘alt coins’ are developing projects to reward fans for discovering and promoting new talent. NXT users can already buy and sell music through the peer-to-peer digital goods store using Melodius. Soon, Melodius will offer a new crowdfunding service allowing fans to buy shares in an artist’s music, helping them to pay their expenses in return for a share of future profits. Bitshares’ Peertracks is building a similar talent discovery platform with a tagline which promises its users can “make a livin’ lovin’ music”. SliceThePie asks its users to listen to the latest tracks from emerging artists and then write a short review of what you have heard. You get paid for every review you write for them. Music XRay takes information about your musical tastes, from a survey and also by monitoring what you listen to on Facebook if you allow them, and then recommend new tracks for you to check out based on that information. You get a small reward for every track they send you. HitPredictor wants to know what the next big hit is going to be. Users vote on their favorites and can claim rewards such as gift cards once they have cast enough votes. There are also other sites through which we can make good amount of money by sharing reviews of songs. And we can also earn some additional earning by ratings those songs. I am sharing list of 5 sites through which we can make money by listening songs.